Tennis is a versatile and fast-paced sport that finds much favor in the state of Virginia. Tennis camps in Virginia are a great way to learn tennis strokes, master your footwork and improve your court awareness. Whether you want to play the sport professionally or are hoping to qualify for your college team like the Virginia Cavaliers, tennis camps can give you the head start you need. With so many Virginia beach tennis camps to choose from, it might be a daunting task to find the one camp that suits all your needs. At Sports Camp Connection, you will find plenty of free information about all the tennis summer camp Virginia beach and across the country. Zero in on the camps you like, and get set to grab your racquet and head out to play! The Virginia Tech Tennis Camp located in Blacksburg VA offers youth athletes an amazing opportunity to learn from top conference coaches and staff. Come experience Hokies Tennis and take your game to the next level. Request more information today! The adidas Tennis Camp at the University of Mary Washington in Fredericksburg, VA was developed to help athletes become better tennis players in a fun, positive atmosphere. Campers will learn from the best coaches in the sport and leave camp with confidence and a passion to enjoy the sport of a lifetime! The Van Der Meer Junior Camp located in Sweet Briar, VA is the ideal location for the perfect Junior Camp experience. Sweet Briar College is uniquely set in the eastern foothills of the Blue Ridge Mountains and offers a 3,300 acre campus featuring 14 hard courts, a large gym, and an indoor pool. Come see why Van Der Meer Junior Tennis camps continue to rank among the top summer tennis camps in the country. 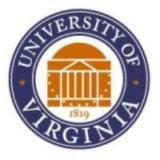 The University of Virginia Men's Tennis Camp located in Charlottesville VA offers youth athletes an amazing opportunity to learn from top conference coaches and staff. Come experience Cavaliers Tennis and take your game to the next level. Request more information today! 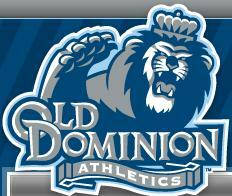 The Old Dominion University coaches will teach you the same techniques taught to their own players. Our camp is based in the BRAND NEW Folkes-Stevens Indoor Tennis Center. We believe it is the finest tennis facility in the state.